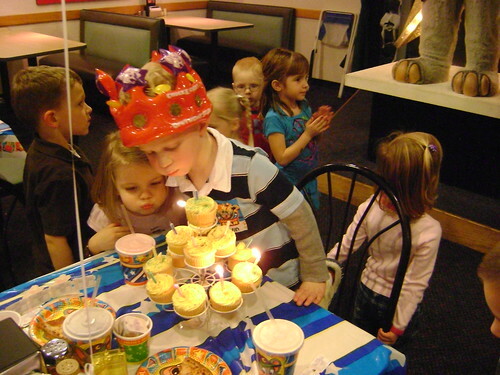 that once in a lifetime birthday party at chuck e. cheese is a great idea…they'll end up going to a billion parties there for other kids anyways! 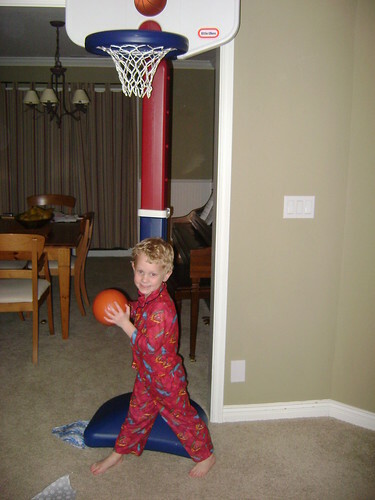 ethan is such a cute kid. I just love Ethan and I'm sick that I'm not there for those kinds of things! 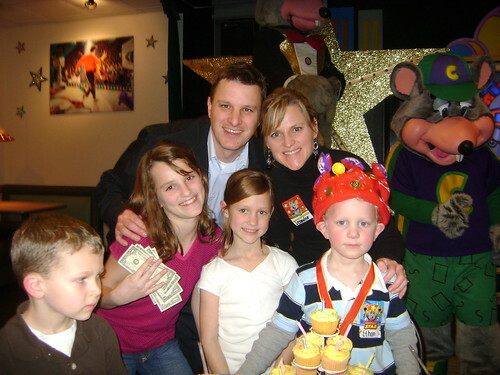 Our family and Chuck go way back – we affectionately refer to him as Big Chuck, Up Chuck, Chuck-a-rama. . . the list goes on. Something about that place draws little boys in. Both Chase and Kyle have had plenty of fun there -including field trips. What??! Any chance I can guide Allie away from it? Anyway, Happy Birthday to the Big Easy!! We miss him and wish him a wonderful year! Hey thanks for the comment! I was born and raised in Kennewick and I knew you mom through many years of Girls Camp, She's wonderful!! 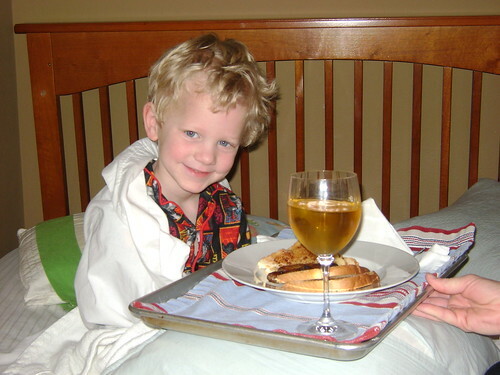 How can you not love Ethan with his curly blonde hair and his speech impediments that would make any British grandmother crawl into her own grave? I love that little guy! Glad that you guys made it a birthday to remember. By the way, I knew Megan would come through for me about hating Chuck E Cheese. That girl has good taste! Oh wow, I can hardly believe Ethan is 5! And that I have never met your cute 3rd child in person! He is just darling and sounds like a fun and polite (he holds your door????) little boy. I can relate to Ethan's Chuckie Cheese birthday dreams. Only I was 12 when I celebrated at that fancy entertainment pizza establishment. 12!!!!!!!! What? 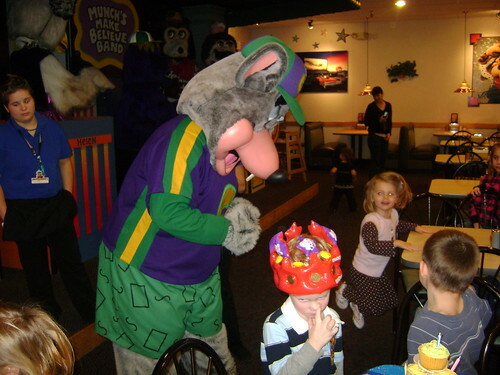 I've never seen Chuck E. in person, but I can understand the creepy factor. He is, after all, a ginormous rodent. Enough said. Wow…you are a cool mom! 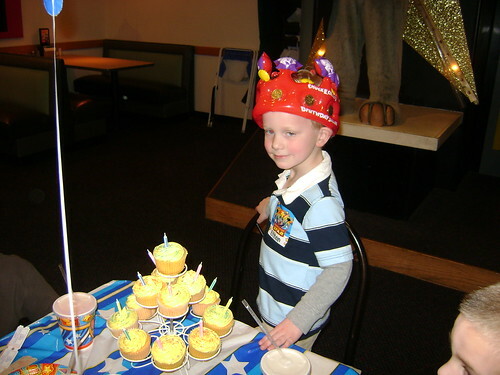 I have still managed to escape the dreaded Chuck E Cheese party…I don't know how much longer that will last. Happy Birthday Ethan! Happy Birthday Easy E! We love you! I love your blog – you can always tell you are a writer! I envy that you are out of the baby stage – I am so tired! Anyways – Congrats Jen you are officially a cool mom – I always knew it but now my kids know it (I read them your blog and Hattie said "Aunt Jen is so cool! )and I can't hid it anymore. On a side note – Marin asks if she can talk to Derrick when I am on the computer – she knows where to find him! She is funny about you guys – she knows you now in the pictures – we miss you!! P.S. 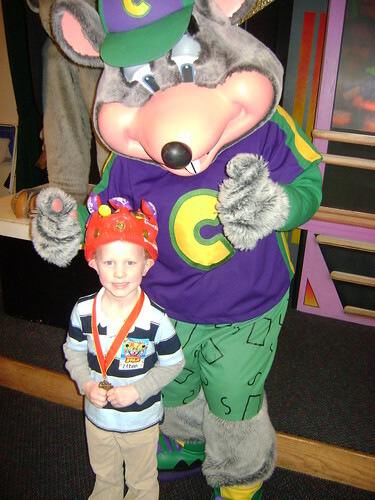 I have sworn off Chuck E Cheese for birthday parties – I am with Megan, it creeps me out! So never mention that you take your kids there – NEVER – I DO NOT want them to know that is an option – at our house it is considered the place that other people go but not us!! 🙂 Actually it is more because Hattie is still afraid of CC!